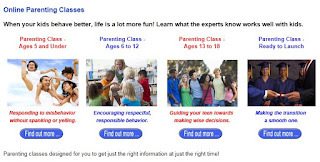 Priceless Parenting Blog: Why take a parenting class? Why take a parenting class? One mom wrote asking why taking a parenting class is better than just learning from family, friends and neighbors. This is a fair question. What makes a parenting class potentially more valuable than these other sources? The information in parenting classes ideally comes from what researchers and experts have learned works best with kids. Classes pull together the best information from a variety of sources and provide lots of ideas so you can choose what works best with your children. The instructors have often looked at outcomes from different parenting practices and know what really are “best practices" in parenting. You can learn about the normal developmental stages children go through along with common problems parents face at different stages in their children’s lives. You can gain ideas for doing things differently than your parents did. You can discuss what’s going on with your children with someone who is impartial. Parenting is like continually taking on a new job! The initial training from the childbirth center typically involves taking care of the baby’s needs – baths, diapering, feeding, burping, calming techniques. However, as children grow their needs change. Parenting classes are a great way of getting the information you need when you need it. I would add that friends and family often have agendas regarding how they'd like your family to be. Instructors don't have those agendas. Also, making contact with an instructor may come in handy in the future if something big comes up with a family member. It's always good to have a staff of experts on hand! Good point - instructors want to share information but aren't emotionally connected to how parents choose to use those ideas. One of the best things my husband and I did when our children were preschoolers was taking parenting classes. The instructors were wonderful at showing us what worked well and also pointing out pitfalls to avoid! When is Struggling the Best Way Out?